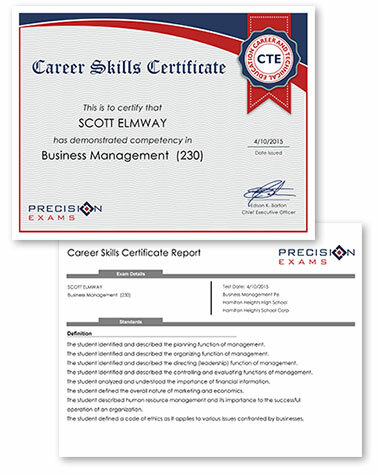 In addition to all of the reporting benefits of the testing system, Precision Exams also provides students with the opportunity to earn a Precision Exams Career Skills Certificate by achieving a passing score on their online exam. Copyright (c) 2017 Precision Exams. All rights reserved.